NEWPORT, January 17th 2018: North Sails 3Di NORDAC is already recognized as game changing cruising technology and has claimed yet another coveted prize. 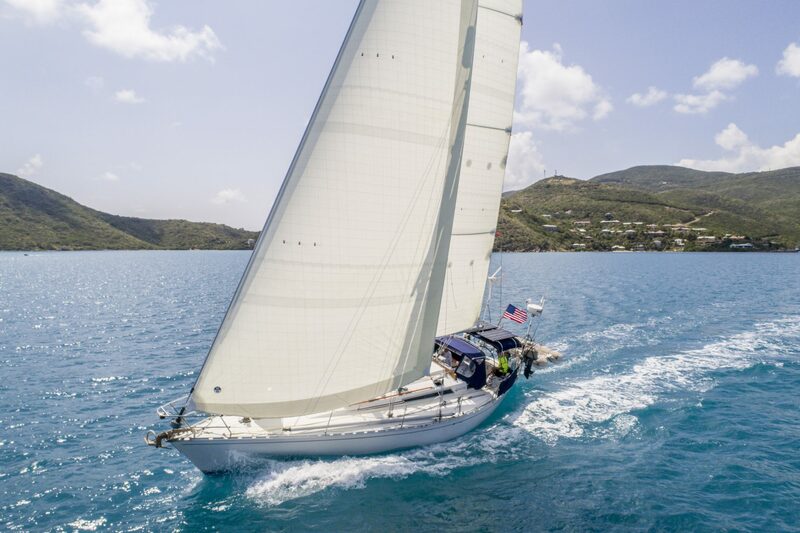 The revolutionary polyester sail, designed for small to medium sized cruising boats, was yesterday announced as a winner of SAIL Magazine’s renowned Pittman Innovation Awards. Many sailmakers might argue that Aramid or Dyneema yarn deliver a “better” sail, and that polyester is too low tech and offers no interesting properties. North Sails believes polyester remains the right material for the cruising market. Sail distortion of any type – stretch, compression, shear or shrink – has a negative effect on sail performance. Most sails concentrate on resisting loads in the stretch (tension) direction. Ounce for ounce, 3Di sails have significantly more resistance to stretch than any other sail made in the world today. Polyester is high durability (UV resistant, flex, abrasion, toughness), soft, lightweight and forgiving to handle. Sailors enjoy the rugged external rip stop surface of 3Di NORDAC, zero risk of delamination, perfect sail shape and integrated reefs for better reefed sail shape.